Join us on our flagship trail, 7 days & 100 miles, a staff and customer favourite. We all look forward to welcoming you on The Radnor Ronda Trail. As on most trails your first day travels over the Begwns through Painscastle and on to either New House or Cwmfillo for your first night on trail. From here the route takes you northeast towards the New Radnor plain and a night at Old Radnor. From Old Radnor the trail swings north and over the Radnor Fforest (the highest point in Powys) before coming gently to land at the smallholding of Lower Fishpools where a warm welcome awaits horses and riders. From Fishpools you circumnavigate the western side of the Radnor Fforest and drop eventually down to stay at either Glanoer or Bettws. 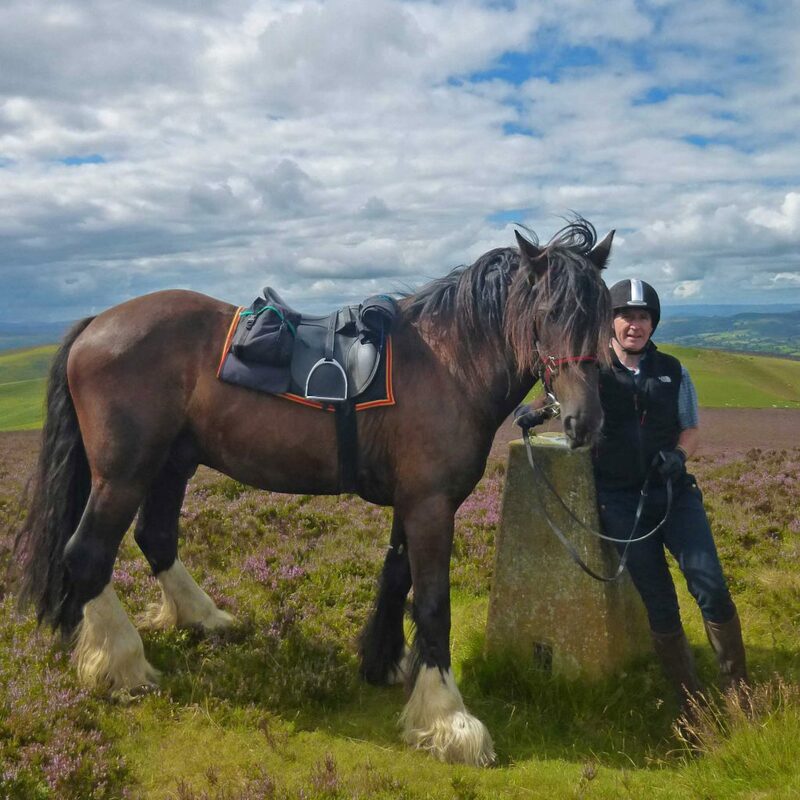 The fifth day on trail finds you exploring Gwaunceste Hill before continuing on to Rhosgoch and Goblaen or Bettws for your overnight stop. From Rhosgoch the length of Llanbedr hill awaits then a night on the banks of the River Wye at Glasbury staying at one of three fantastic B&Bs. From Glasbury your last day brings you back to Freerein HQ. Well done! Arrive at Freerein HQ at 9am. 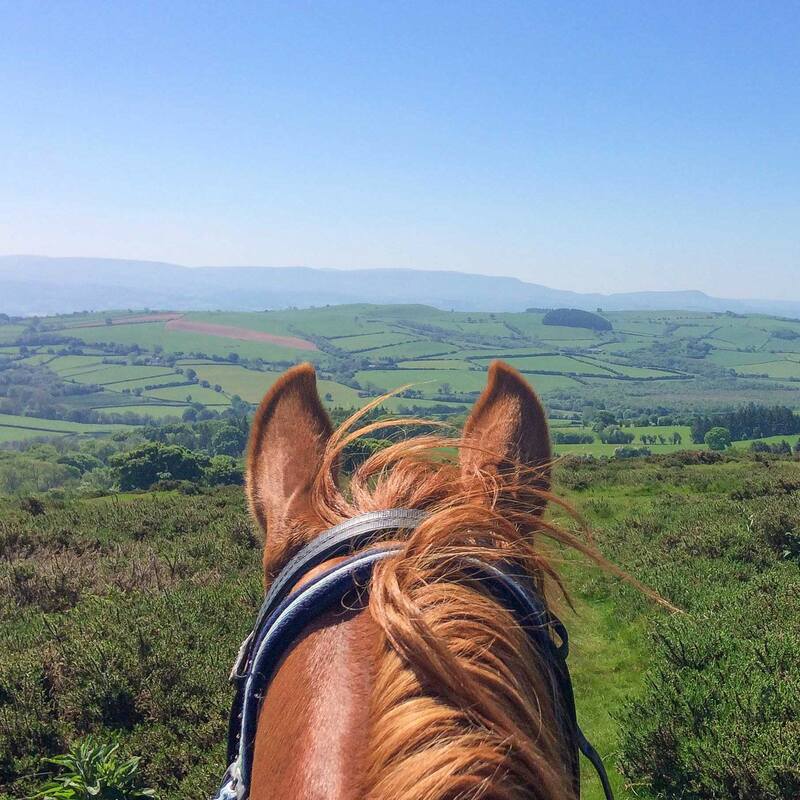 Pack saddle bags then prepare your horses. Go through your individual route pack & depart. Out on trail all day to Cwmfillo or New House. Arrive at your accommodation, untack, feed & turn your horses out in the field. Feed, groom and tack up your horse. Out on trail all day to Newgate or Goblaen. 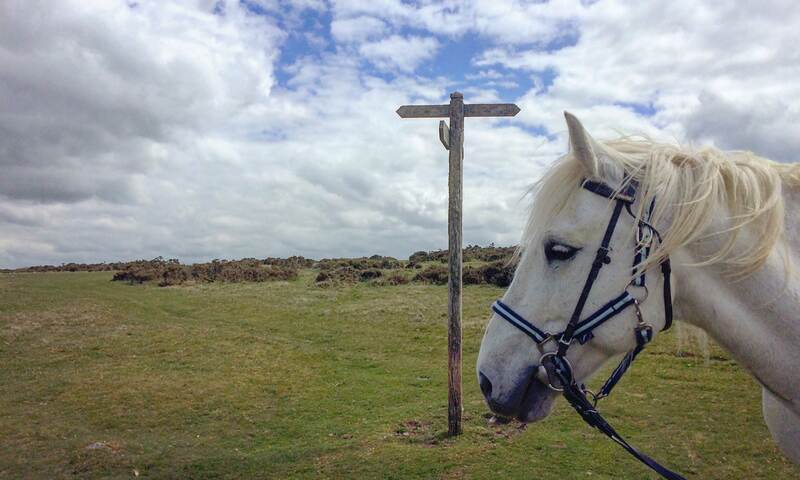 Freerein Mercury knows the way! We loved the whole experience and the route was brilliant. What a sense of achievement.